It’s that time again…! Registration for my online class called the Grocery Budget Makeover is OPEN. But note, that it’s only open until Monday, January 8th. The Grocery Budget Makeover is just what it sounds like…a program to completely overhaul and flip turn upside-down the way you shop for groceries. It lasts for 5 weeks, and each week I’ll send you a set of lessons with videos, worksheets, resources and challenges that will baby-step you through the makeover, and help you make the proper adjustments to the way you shop for groceries. Plus, you’ll learn ALL of my grocery shopping and cooking secrets! This will be our 9th class to go through the makeover and the proven system and strategy has helped thousands of frustrated grocery shoppers save hundreds of thousands of dollars combined. I’d like to invite you to learn more about the makeover and join this Winter 2018 class! The workbook is a compilation of all the worksheets and meal planners that are part of the makeover. 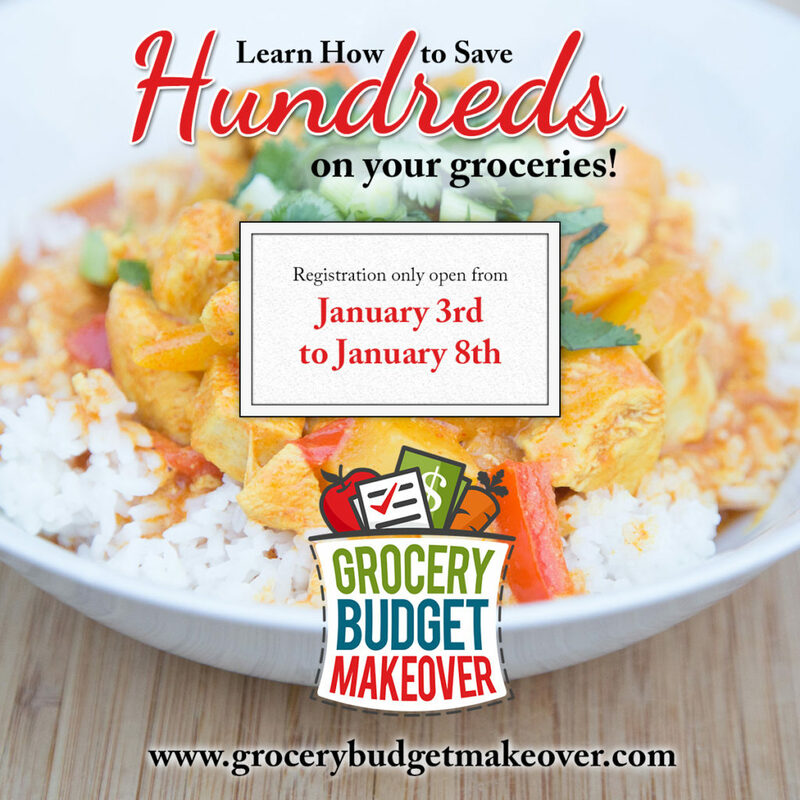 The Grocery Budget Makeover is an online class. 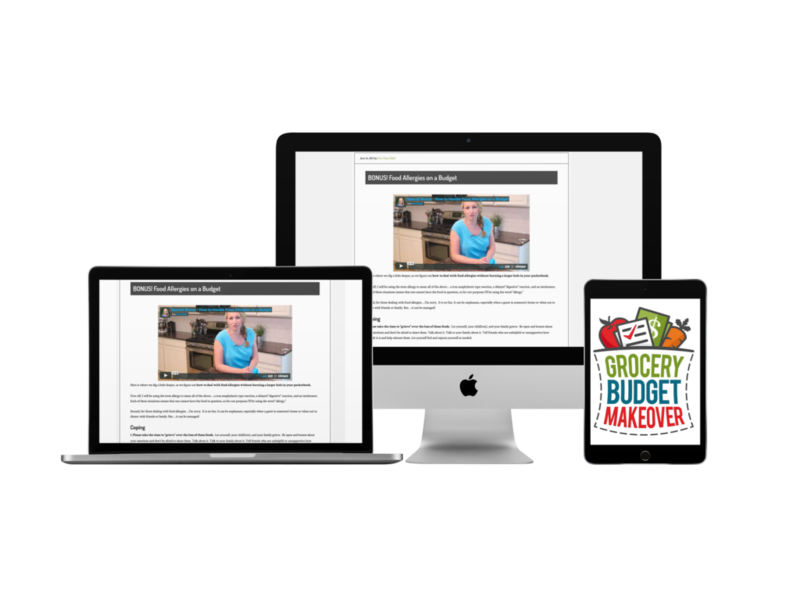 The lessons are hosted on the Grocery Budget Makeover website and you can access the lessons on your desktop, laptop, tablet or phone. The printouts would need to be printed from a computer or wireless-enabled tablet or phone. You can go through the online class at your own pace and convenience, and I will be leading the class for the first 5 weeks that the lessons are released. When the class is over, you have continued access to the lesson material and come log back in and review or complete the lessons at any time! One last thing…if you aren’t sure if this is right for you, or you want to get a feel for what an online class from me looks like – please sign up for the FREE Grocery Savings Workshop! Or better yet…get registered for the Winter 2018 class now!